Michigan’s Medical Marijuana industry is on track for a dramatic growth and with it, there will be a high demand for Michigan Medical Marijuana Background Checks. ASG is the leader in providing fast, reliable, government compliant Michigan medical marijuana background checks! In September of 2016, Michigan Legislature passed and Gov. Rick Snyder signed into law three bills (House Bills 4209, 4827 and 4210) that will create licensing guidelines for medical marijuana businesses and must be implemented by December 15, 2017. With these bills, and the regulations that come with them, there will be an increase for professional Michigan Medical Marijuana Background Checks. Class A, B or C Grower: A licensee with a commercial entity located in Michigan, and that cultivates, dries, trims, or cures and packages marijuana for sale to a processor or provisioning center. 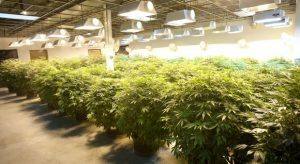 The grower license will allow the holder to grow not more than number of marijuana plants under the indicated class per each license that the grower holds: Class A, no more than 500 plants; Class B, no more than 1000 plants; Class C, no more than 1500 plants. Processor: A licensee with a commercial entity located in Michigan that purchases marijuana only from a grower and that extracts resin from the marijuana or creates a marijuana-infused product for sale and transfer in a packaged form only to a provisioning center by only means of a secure transporter. Provisioning Center: A licensee with a commercial entity located in Michigan that purchases marijuana only from a grower or processor and sells, supplies or provides marijuana directly to qualifying patients or via their registered primary caregiver. Secure Transporter: A licensee with a commercial entity located in Michigan that stores and transports marijuana in between facilities for a fee. This license requires that each driver have a chauffeur’s license issued by the State of Michigan and each vehicle be operated with a two person crew. The background check requirements appear to be more restricted with this license. Safety Compliance Facility: A licensee with a commercial entity that receives marijuana from, tests marijuana for, and returns marijuana only to and from a marijuana facility. The five difference State operating licenses have their own regulations; however, there are some requirements that all license applicants will need to comply with. Thorough Michigan Medical Marijuana Background Checks will be performed on every applicant. The Board will conduct these Michigan Medical Marijuana Background Checks with the help of the Michigan State Police. Also, every applicant granted a license will be responsible for having Michigan Medical Marijuana Background Checks conducted on their employees and applicants. Fortunately, if you are (or plan to be) a license holder in one of the five Michigan Medical Marijuana fields, your life just got easier. You have found the #1 provider of Michigan Medical Marijuana Background Checks. We know this business and we can help streamline your hiring process. ASG is a full-service, highly respected, Michigan private investigative agency that specializes in background checks. In dealing with the Michigan Medical Marijuana laws, save yourself the headache of even considering an instant, on-line background check. It is not specified (yet) if those results will even be honored. There is no reason to waste the time or money looking up all possible names, aliases, etc of all your employees and applicants. More importantly, you do not want to jeopardize your license. In the end, they are not faster and they are far from current. You need verified, accurate Michigan Medical Marijuana Background Checks and we are your answer. To put it into perspective, one sponsor of the bill was quoted as saying, “I would rather see 1,000 millionaires than one billionaire created from this act”. With the potential that this industry has, do want to take any alleged shortcuts? Upon receiving your Michigan Medical Marijuana State operating license, give our team a call. It is stated in black and white, the holder of the license must conduct a background check on all employees and applicants. Let us take that burden off you. We are experts at Michigan Medical Marijuana Background Checks and can efficiently help you with this human resource process, leaving you more time to gain an edge in this new medical marijuana industry.